Tom Clancy passed away on Tuesday near his home in Baltimore, Maryland. He was 66. As one of the most well known authors of the late 20th century, there have been a lot of responses since the news broke this morning. Since we aren’t a news source and writing an obituary felt out of place, I thought I’d share some thoughts on the author and his fiction. One thing I’ll always associate Clancy with a moment from the first day of my eighth grade English class when we were asked what books we read over the summer. I told the teacher I had consumed Tom Clancy’s Debt of Honor and he didn’t believe me. That summer was all Clancy for me, from that giant paperback I’d poached from my dad’s collection, to repeat viewings of The Hunt for Red October, Clear and Present Danger, and Patriot Games on VHS from the local video store. Clancy’s fiction was simultaneously a product of his time and ahead of it. The introduction of Jack Ryan in The Hunt for Red October hit bookshelves during the political posturing Reagan-era that brought fears of nuclear annihilation back to the forefront of the public consciousness. Ryan was an American James Bond, only functioning in a much more grounded and believable world of espionage than that fictional British secret agent. The world of Clancy’s novels, where wars between nations were common and perhaps a bit hyper-real at times, was one that seemed to always be just around the corner, especially during those final years of the Cold War. The public’s consumption of fictional wars drove Clancy to the top of the bestseller lists, and placed him in that league of writers that transcend the shelves and become household names. While his production may have slowed over previous years, when your fiction causes real life events to be described “like a Clancy novel” then you’ve entered the pantheon of modern popular writers. Without Clancy we wouldn’t have any of the authors like Brad Thor or the late Vince Flynn. However, where those authors deal with international incidents on a personal level, a sign of our current sociopolitical times, Clancy always had a bigger picture mentality, which is why he’ll be remembered for a long time to come while they may not. He had an almost preternatural ability to delve into international incidents, which only felt more prophetic as the world entered the new century. The book I mentioned above, Debt of Honor, ends with a Japanese pilot crashing a passenger jet into the US Capitol Building, something that seemed unbelievable until September 2011. Perhaps this is the bigger reason that Clancy’s fiction lost some its popularity over his later years: the world hadn’t necessarily become like one of his novels, it became worse. It became scarier. Reading about fictional terror is like reading about apocalypses, readers like to imagine what won’t be. That becomes difficult in a world where the fear of terror is shoved down the public’s throat by politicians, leaks showcase that espionage is targeted home and abroad, drone strikes occur all the time, and the Conservative policies Clancy supported his entire life seem more aimed at creating strife between the American people and serving their own interests than anything else. This is why the supernatural is so popular these days, because zombies are as unlikely as a state of constant war seemed in the 1990s to general readers. This could be why his novels that followed 9/11 focused on Jack Ryan, Jr. going through CIA training instead of dealing with the massive geopolitical thrillers of his earlier work. 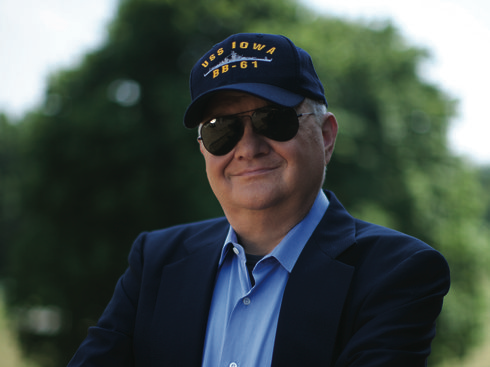 No matter the reason, Tom Clancy will still be remembered as one of the most popular novelists of the late 1900s, and will live on in other ways outside his fiction. Video game developer Ubisoft purchased the rights to use Clancy’s name for an undisclosed sum. Gamers today may not know his novels, but they know his name, and the world of espionage that he created through series like Splinter Cell and Ghost Recon. With a new Jack Ryan movie and the novel Command Authority being released this winter, Tom Clancy will live on for a long time to come.